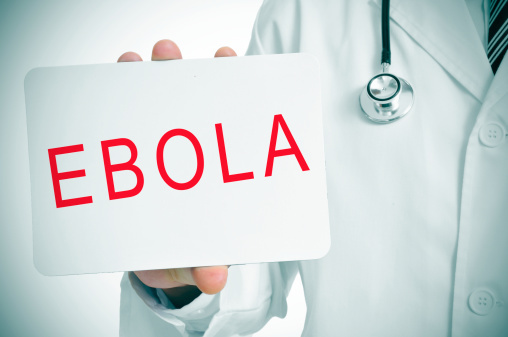 Home » General Health » Can Vitamin C Cure Ebola? It was only a couple short months ago when the World Health Organization (WHO) declared the Ebola virus an international health emergency. This sparked a lot of fear within the minds of many. The Ebola virus epidemic began in March, and there are now more than 6,500 known cases of the virus within Central and West Africa. There were about 1,700 cases when the WHO made its announcement. The death toll has climbed from around 1,000 to 3,100 people. The current death total includes an estimated 1,830 deaths in Liberia. For the most part, Americans can sleep soundly. When an American has been infected with the virus, they are safely brought to the U.S. under quarantine and immediately treated. However, last week, there was an exception: the U.S. got its first confirmed case of the Ebola virus, according to the U.S. Centers for Disease Control and Prevention. The patient experienced Ebola symptoms four or five days after returning from Liberia. Signs of the virus will typically appear anywhere from two to 21 days after infection. The patient is currently in isolation at the Texas Health Presbyterian Hospital in Dallas. I still believe that it is unlikely that there will be an Ebola outbreak in the U.S. with such a comprehensive system in place to contain it. It seems that everything is being done to prevent the spread of the disease. I’ve begun to wonder, though, what are the most effective ways to treat the virus? There are currently no vaccinations with clinical approval available. However, there is one vitamin when taken in high doses that may be an option to help treat the deadly virus. Vitamin C is an antioxidant known for antiviral and immune-boosting properties. Throughout the years, I have found studies that suggest vitamin C can help protect you against pretty much every virus. Consider the effect of vitamin C with cancer. I remember a study that found high doses of intravenous ascorbic acid therapy (7.5 g to 50 g) would lower inflammation and tumor marker levels in cancer patients. The study would observe 45 patients with various types of cancers, including breast, prostate, bladder, lung, pancreatic, skin, thyroid, and B-cell lymphoma. After conventional cancer treatment, patients were given between 7.5 g and 50 g of vitamin C.
Also, in a study published in the journal Medical Hypotheses, Dr. Robert F. Cathcart found that large doses of vitamin C successfully treated bacterial infections, herpes, hepatitis, mononucleosis, and acute induced scurvy (an hemorrhagic fever). He treated more than 9,000 patients with high doses of vitamin C over a 10-year period. Dr. Cathcart also found that high doses of intravenous (IV) vitamin C in ascorbate form would significantly help improve the symptoms of AIDS by neutralizing the free radicals from the disease, according to another study published in Medical Hypotheses. Overall, Dr. Carhtcart orally gave high doses of ascorbic acid to more than 30,000 patients, as well as sodium ascorbate to more than 20,000. He came to the conclusion that daily large doses (180 g minimum) of IV sodium ascorbate could be an effective treatment for the Ebola virus or similar hemorrhagic fever diseases. Why are high doses of vitamin C considered an effective virus treatment? People with viruses can absorb larger doses of vitamin C without loose stools as a side effect. They can take 20–100 g of divided doses of vitamin C on a daily basis. The correct dosage depends on the individual and the disease. Vitamin C is best taken in doses because of the short half-life effect vitamin C has on blood plasma levels. When there is separation between doses, the individual doses can absorb at an independent rate. People with a serious illness, such as the Ebola virus infection, are unable to take vitamin C orally, and high levels of continuous of IV doses of vitamin C provide significant amounts in the blood. Sodium ascorbate is used instead of ascorbic acid, which is known to irritate veins. There are no current placebo controlled studies with intravenous doses of vitamin C for Ebola virus treatment; however, vitamin C is known to have benefited in the treatment of many viruses and it is considered safe. What are other possible natural cures for the Ebola virus? Treatments for the Ebola virus may also include garcinia kola seed extract and the homeopathic remedy sicarius albospinosus. Foods that contain the plant compound genistein may also be effective against the Ebola virus, including kudzu, red clover, fava beans, soy products, and coffee. Now, it should be noted that vitamin C is in no way a miracle cure for the Ebola virus. While it is useful to know what alternative treatments may be effective against Ebola or a similar virus, always seek the advice of a medical professional. If you notice you are experiencing Ebola-like symptoms or know you’ve come in contact with someone who may have or was diagnosed with Ebola, seek professional medical help immediately. If you are showing symptoms, avoid all contact with others as best you can while waiting on medical assistance, quarantine, and treatment. The system to control an outbreak and effectively treat Ebola is in place in the U.S. to do exactly that, so if you feel you are at risk of or already have Ebola, use the resources that are at your disposal. Cathcart, R., “Vitamin C, Titrating to Bowel Tolerance, Anascorbemia, and Acute Induced Scurvy,” Medical Hypotheses 1981; 7: 1,359–1,376. Cathcart, R., “Vitamin C in the Treatment of Acquired Immune Deficiency Syndrome (AIDS),” Medical Hypotheses August 1984; 14(4): 423–433. Cathcart, R., “Ebola and Marburg Virus,” VitaminCFoundation.org web site; http://vitamincfoundation.org/www.orthomed.com/ebola.htm, last accessed October 1, 2014. Mikirova, N., et al., “Effect of high-dose intravenous vitamin C on inflammation in cancer patients,” Journal of Translational Medicine September 11, 2012; 10: 189, doi: 10.1186/1479-5876-10-189. York, G., “Globe in Liberia: Months into outbreak, Ebola virus surpasses relief,” The Globe and Mail web site, September 30, 2014; http://www.theglobeandmail.com/life/health-and-fitness/health/globe-in-liberia-months-into-outbreak-ebola-surpasses-relief/article20872799/. Hickey, S., et al., “Can Vitamin C Cure Ebola?” Orthomolecular.org website, August 20, 2014; http://www.orthomolecular.org/resources/omns/v10n13.shtml. Ji, S., “Natural Treatments for Ebola Virus Exist, Research Suggests – Page 2,” GreenMedInfo web site, August 1, 2014; http://www.greenmedinfo.com/blog/natural-treatments-ebola-virus-exist-research-suggests?page=2.